Two years ago, we were finishing up our trip through Turkey. Since then, I’ve been obsessed with making dishes we had on the trip, and ones found in the cookbook I bought there. 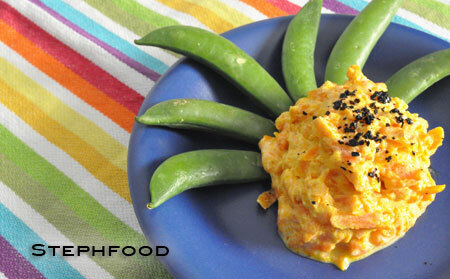 This dish is a disturbingly simple carrot and yogurt salad/dip. If you saw it in a cookbook, you would think it was boring. You would be wrong. The end result is a mashup of a couple of different dishes – a great way for vegetarians to experience köfte. 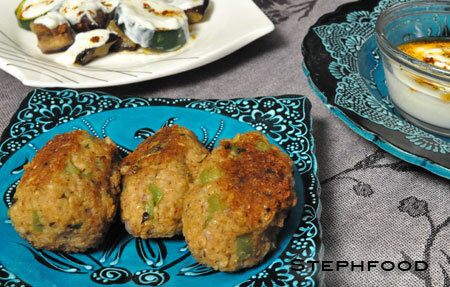 Most people know Turkish köfte as football-shaped meat balls, full of spices and a little bit crispy on the outside. This is my attempt at making them vegetarian. I finally tried to make the bulgur salad I was obsessed with on my trip to Turkey. This salad is the reason I bought the cookbook I bought. There were a few different cookbooks in the tourist shops, and I found that this one was the only one that had the bulgur salad in it. One problem – I couldn’t find it in English. 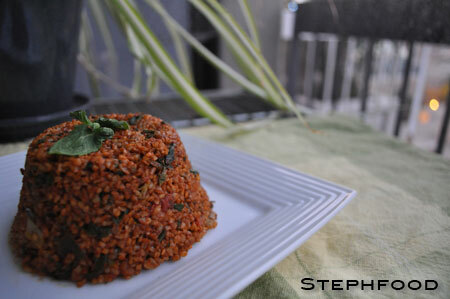 There weren’t many dishes I ate that contained bulgur. Until recently, the only thing I could think to make was tabbouleh. Fair enough – tabbouleh is tasty! Eating my way through Turkey, I realized that you could get bulgur in different sizes, in many stages between fine and coarse. 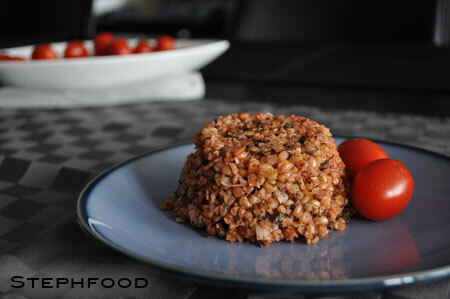 The coarser bulgur was used much like rice, and bulgur pilaf was a common side for many dishes. I bought a bag of coarse bulgur, ready to make some delicious pilaf… and it sat in the cupboard for almost a month. J finally dug in, and used some in a bread, and I decided I couldn’t let him show me up. The basic bulgur pilaf is fairly plain, since it’s meant to be a side dish for more flavourful main items, like kebab and kofte. I used the recipe from the cookbook I bought in Turkey as a jumping off point, adding some spinach and lots of yummy herbs and spices. I also had to change the cooking instructions a little bit — this will vary depending on the coarseness of the bulgur you buy. There are many variations, and I’m not sure there’s a standard way that all brands differentiate between the varieties. This is a great alternative to a rice side dish – it has a nice chewiness to it, and is fantastically tangy from the mix of tomato, fresh mint and sumac. It’s also amazing as leftovers.